Good as well as Bad news for Indian users. Good because after long wait Nexus 7 tablet going to launch in India and bad because the price is quite high as compared to Play store version. Chroma listed the tablet on its website for Rs. 19,981. 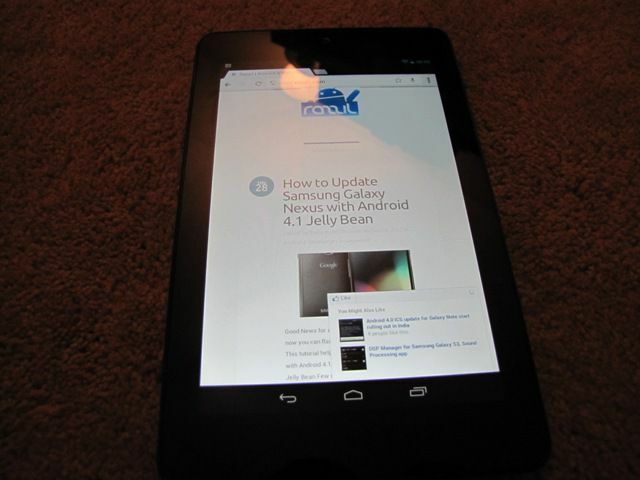 Nexus 7 has 1.3 GHz Tegra 3 processor, 1 GB of RAM, 1.2 MP front-facing camera, 7-inch IPS display with 1280 x 800 resolution and it runs on Android 4.1 Jelly Bean. Nexus 7 comes with two storage option 8 GB & 16 GB of storage. Let me inform you that the tablet listed on website has 16 GB of storage and comes with Wi-Fi only. The Recently launched 3G version is not yet available. The Google Nexus 7 has been launched with a price tag of Rs.19,999.